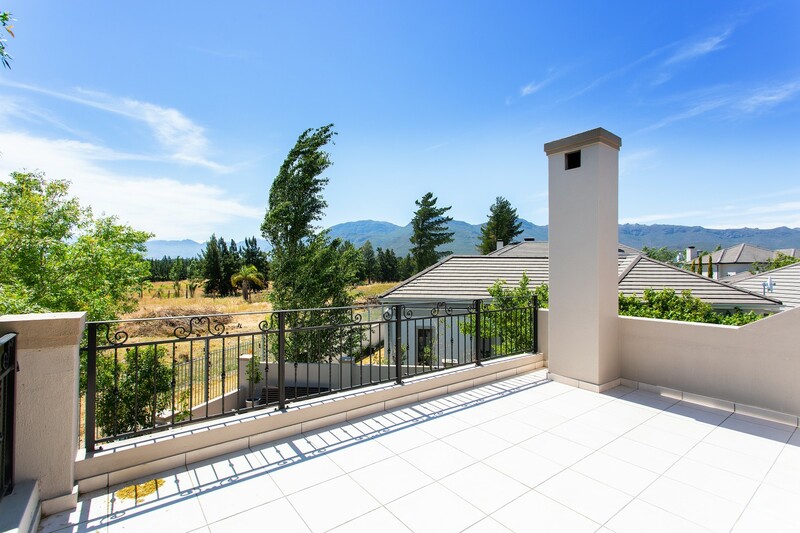 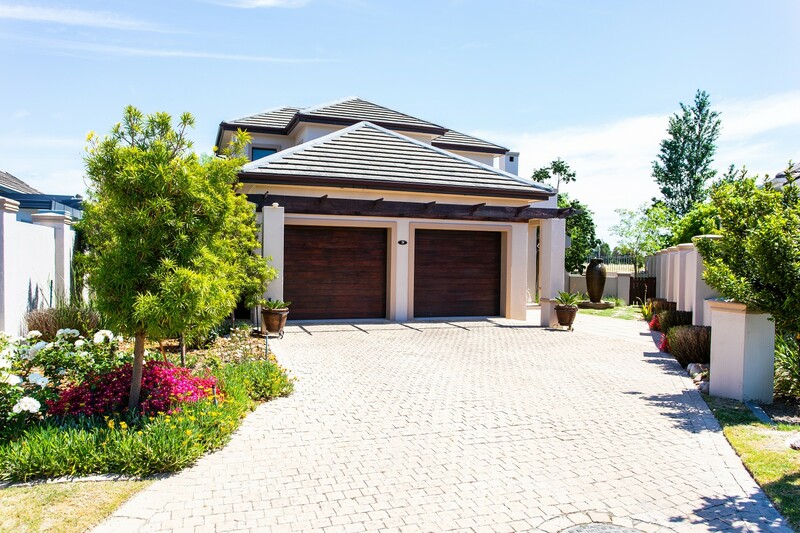 A well looked after family home with high quality finishes is situated in a well-established area of Val de Vie Estate, offering peace of mind and a convenient lock up and go lifestyle. 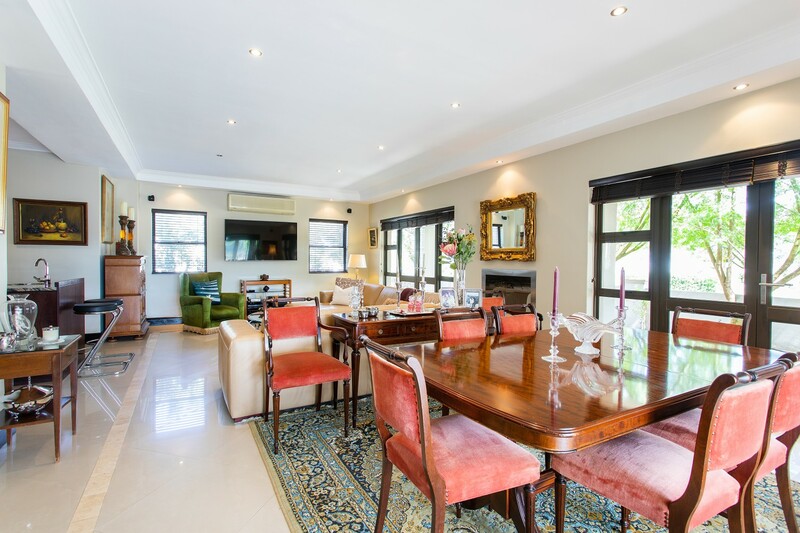 This home is located next to a private landscaped park and surrounded by nature. 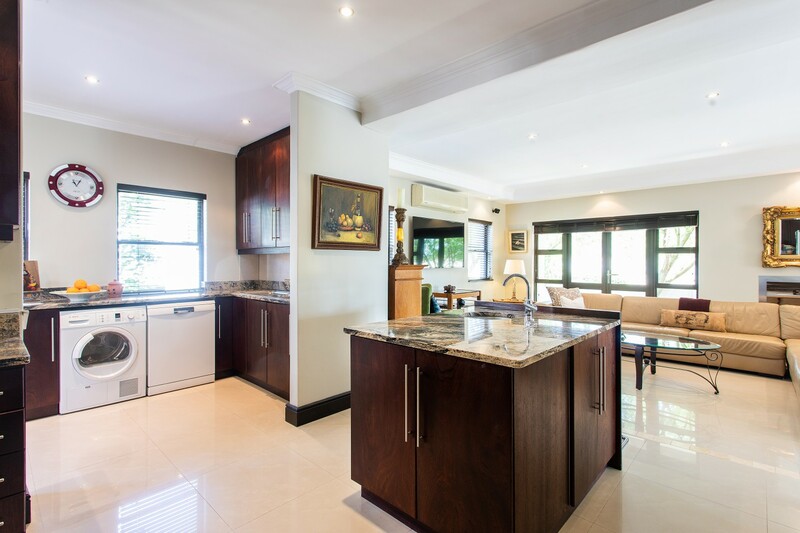 Preparing dinner is an enjoyment in this kitchen with easy to clean Caesar stone tops, spacious work areas and a separate scullery. 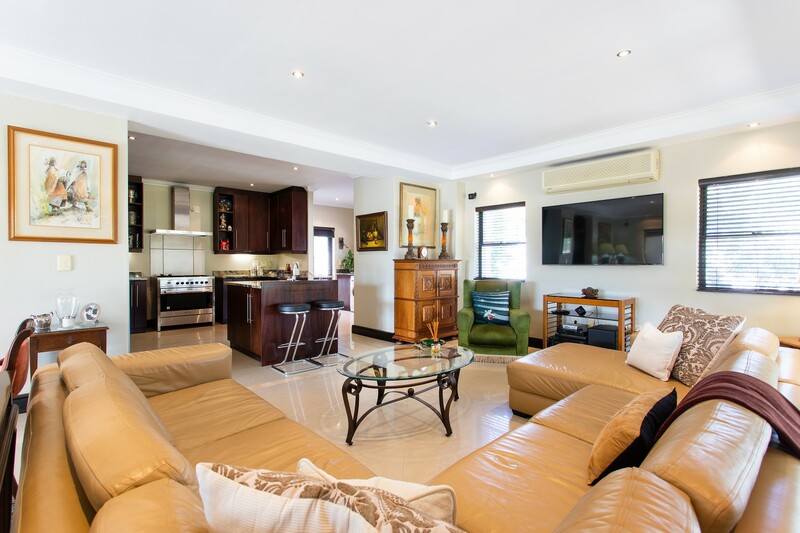 The open plan living area with a gas fireplace allows the whole family to be part of the activities. 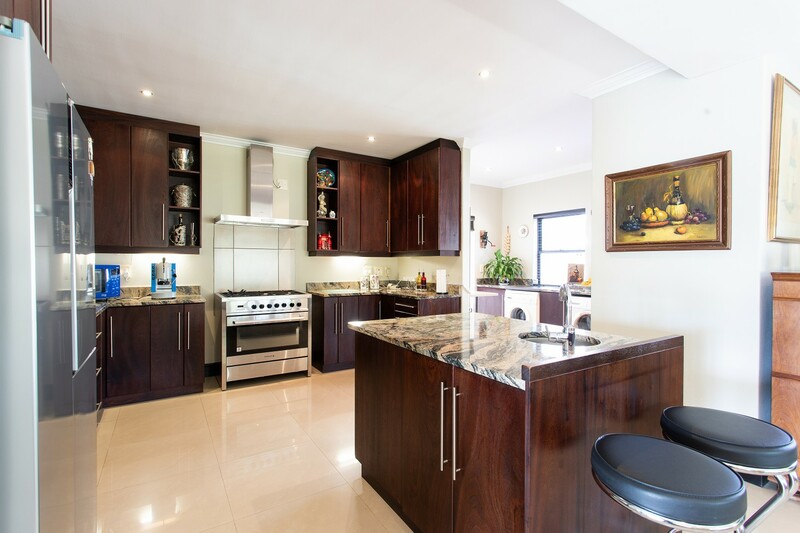 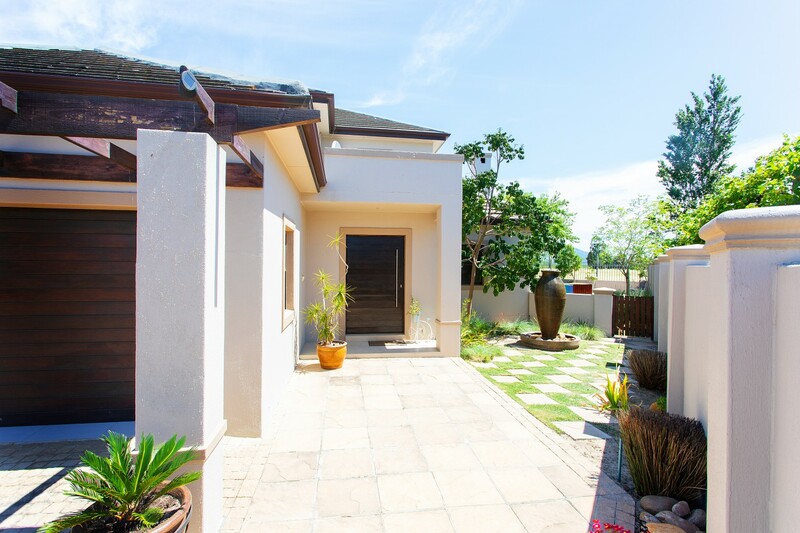 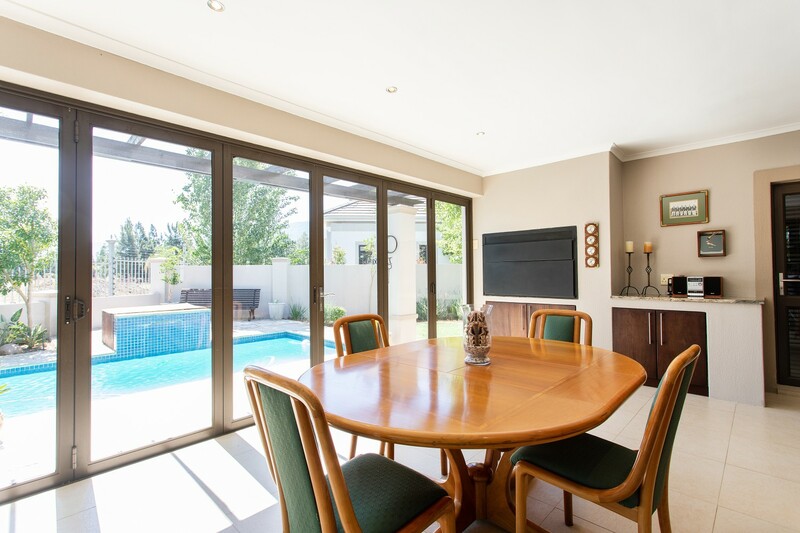 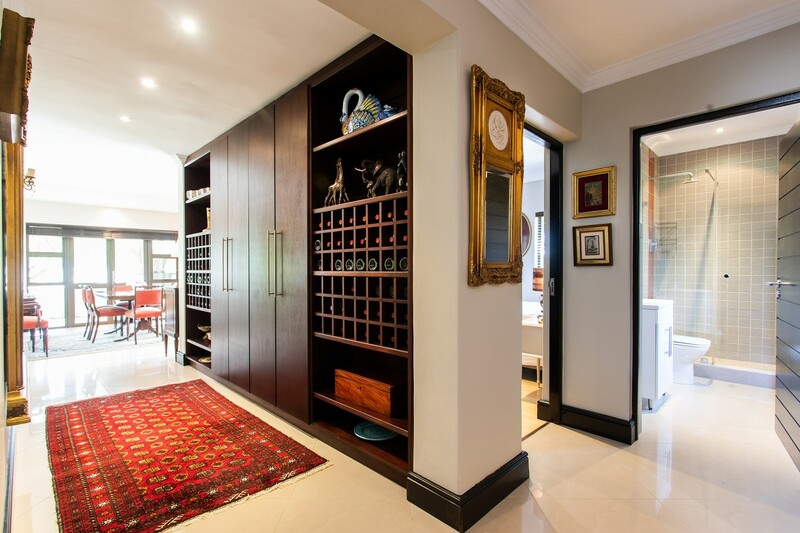 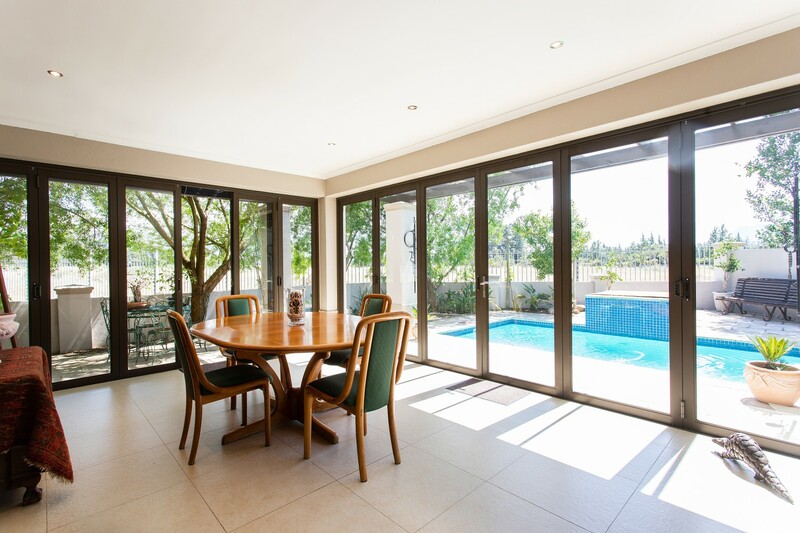 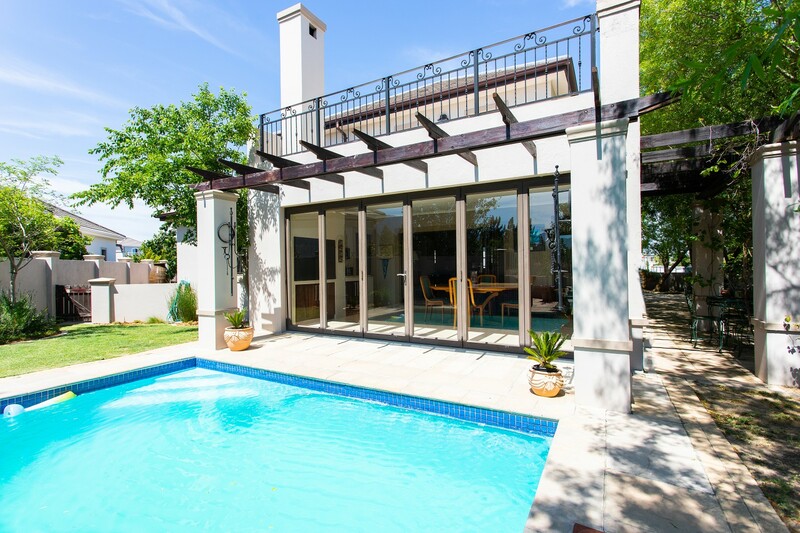 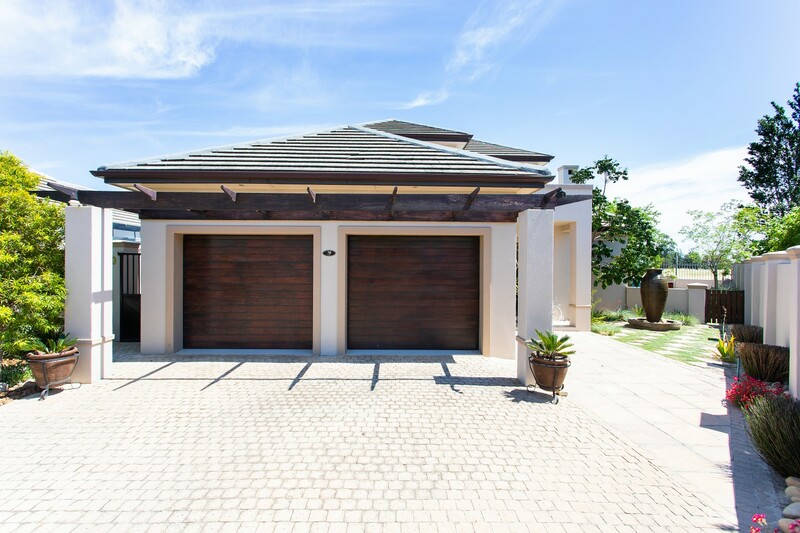 Entertain your friends in the braai room with stacking doors opening up to landscaped garden. 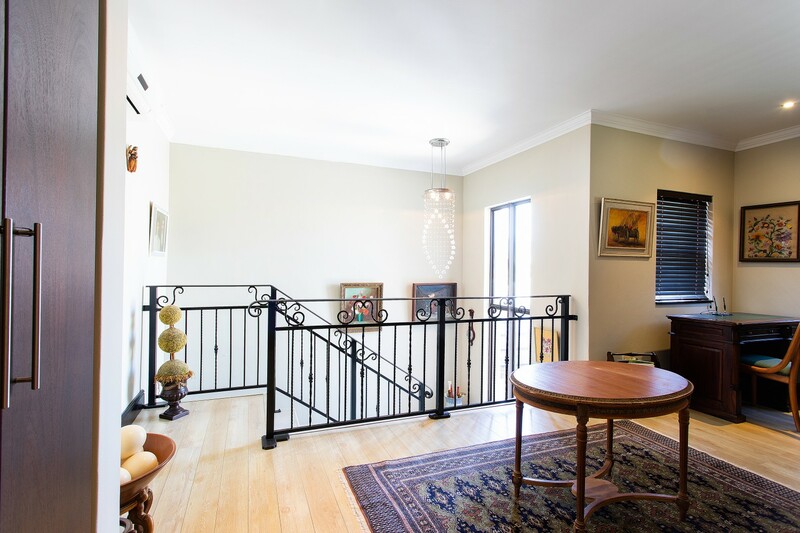 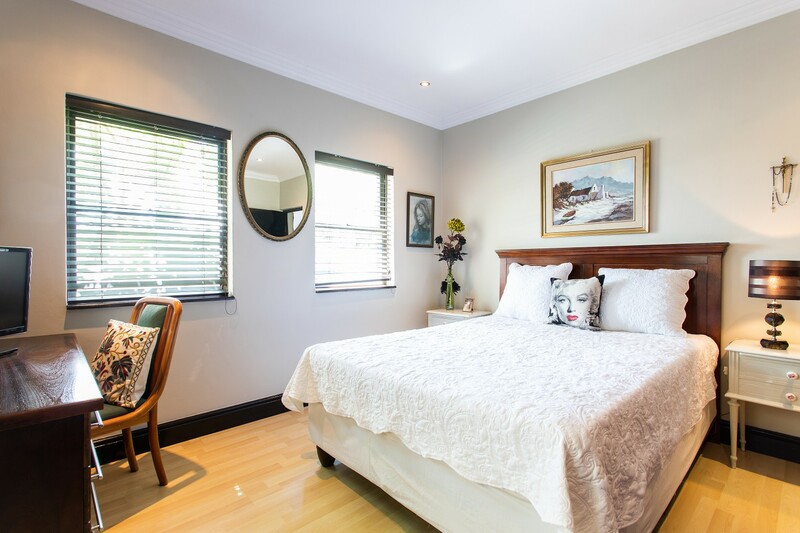 The property offers three bedrooms with one bedroom located downstairs. 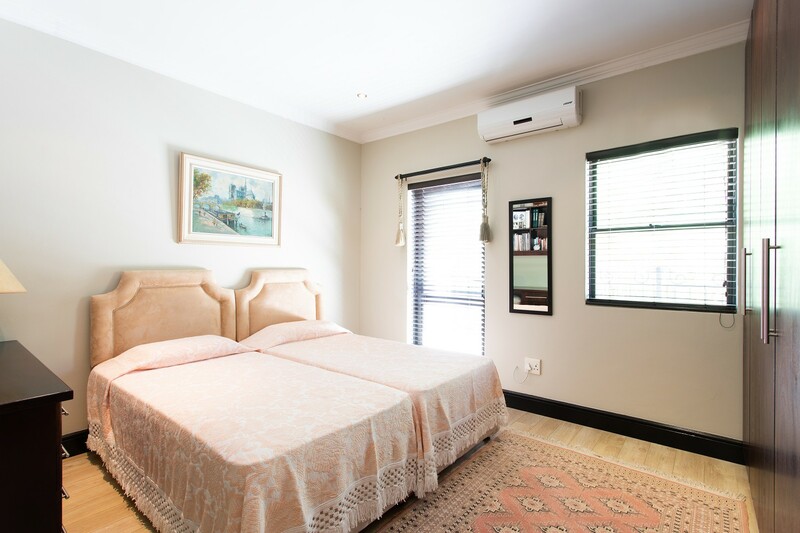 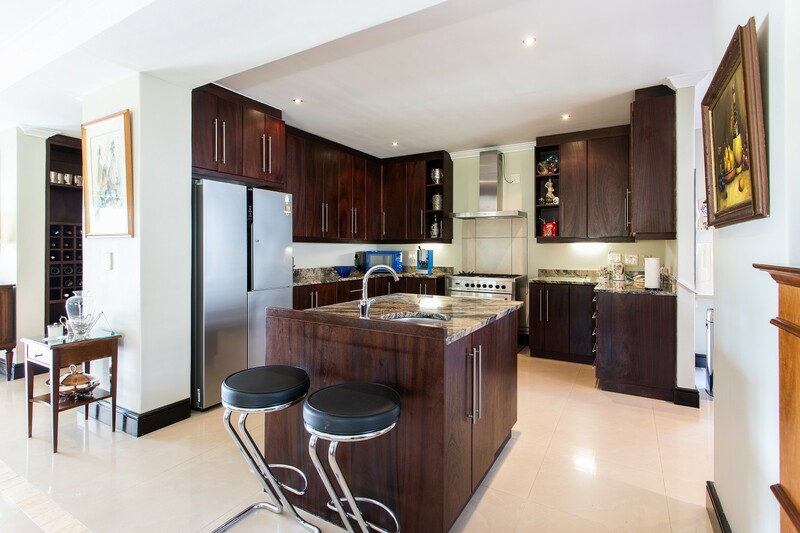 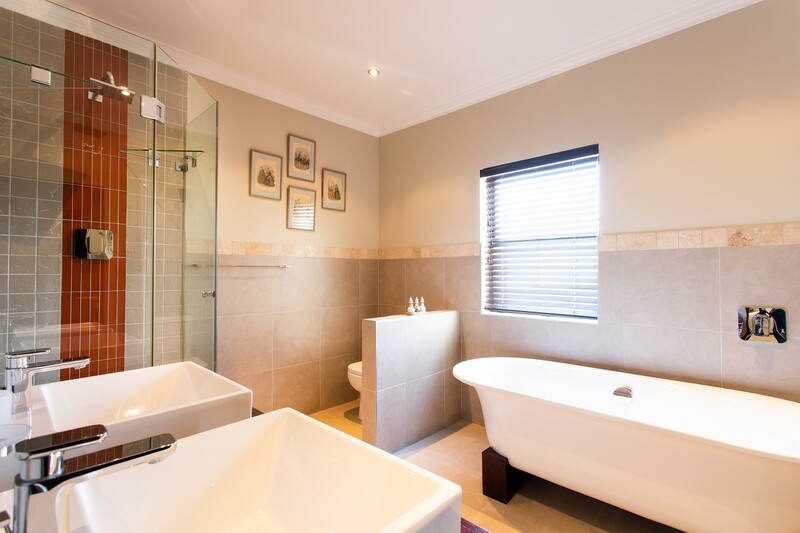 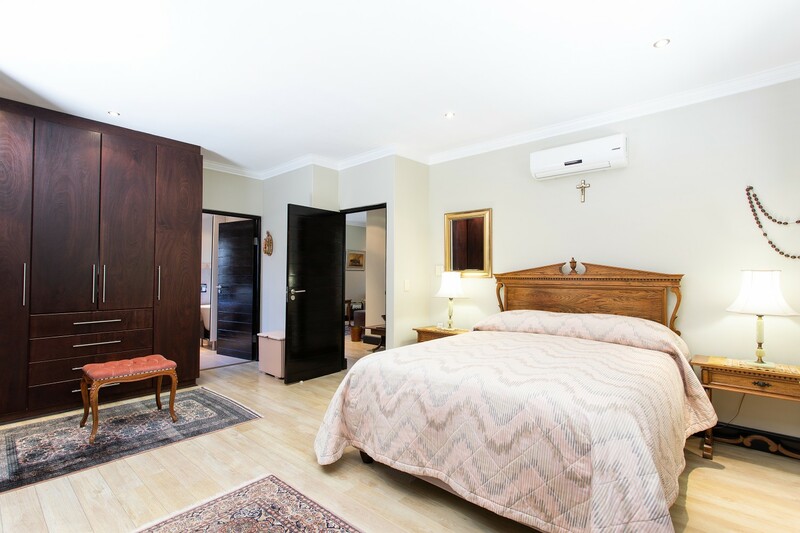 All 3 bedrooms have en-suite bathrooms and are fitted with built in cupboards and air-conditioning units. 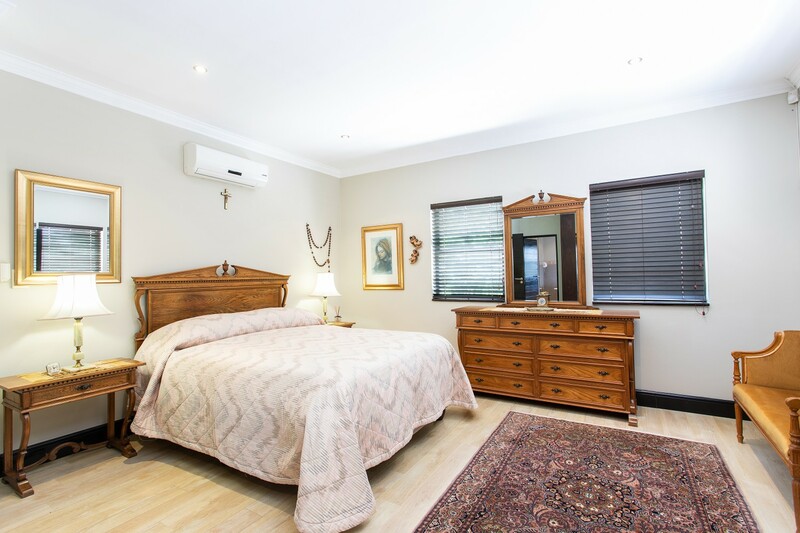 The main bedroom upstairs has its own balcony overlooking with stunning views. 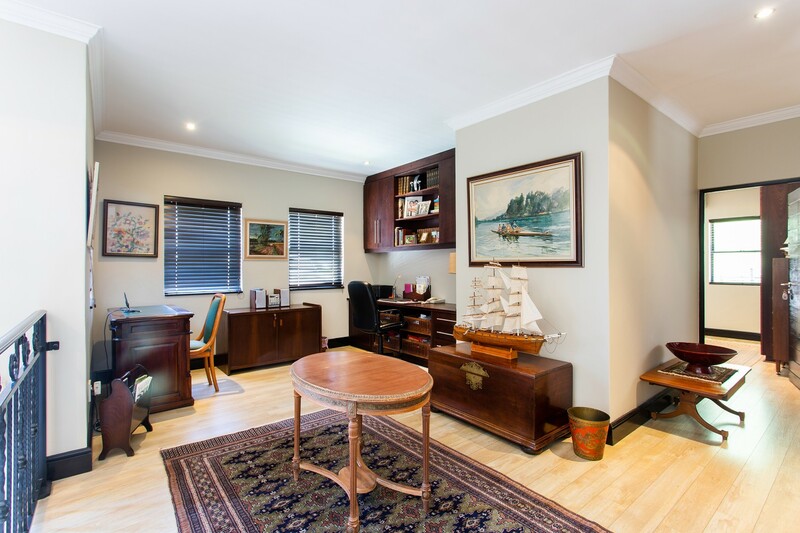 There is also an open plan study area, a separate guest toilet and double garages.